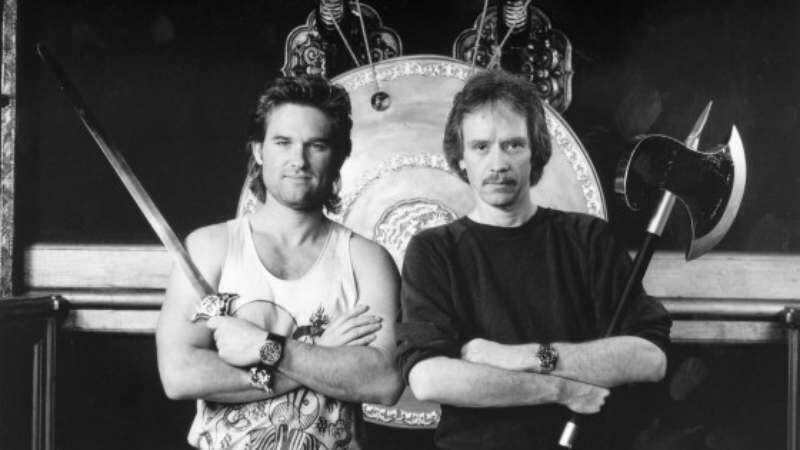 Kurt Russell and John Carpenter on set. Last week it was announced that Dwayne Johnson might be taking over the role of Jack Burton, originally portrayed by Kurt Russell in John Carpenter’s 1986 cult classic Big Trouble In Little China. Not unlike the Chang Sing and the Wing Kong, fans of the original were split in their opinion of this casting. There weren’t any street fights (that we know of, anyway), but there were people who vehemently opposed the remake and others—like this writer—who didn’t think it would be so bad. But despite Johnson’s good intentions, it might be difficult to convince Carpenter. The director has stated in interviews that he’s happy just sitting at home and collecting royalty checks, and five years after his last film project, he may be content just to make music with his son. (Carpenter’s last directorial effort was 2010’s The Ward and his last screenplay was 2001’s Ghosts Of Mars.) So while getting Carpenter on board for a Big Trouble remake may get fans to drink the Six Demon Bag, if he does come back, it would probably be in nothing more than a producer role. At the very least, perhaps Carpenter can reunite the Coupe De Villes to record a new theme song.